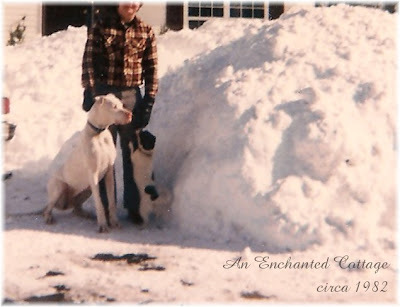 An Enchanted Cottage: More than you ever wanted to know about me! I recently received a Kreativ Blogger award from the lovely Cafe Chatelaine. Thank you! She and I both live in beatiful New England. 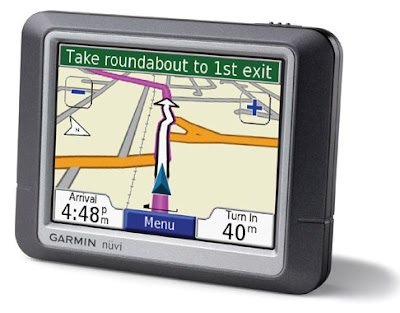 We've even photographed many of the same towns on occasion (Boston, Cambridge, Concord, Rockport, etc. ), but you must visit her blog to get a feel for the true beauty of our region because she is an incredible photographer with an artistic eye! (As a matter of fact, right now she has an amazing post about her trip to Boston on Wednesday!) Her photos are gorgeous! Visit her blog regularly as she takes us along on her day trips, sharing all the fun restaurants and shops she discovers along the way. She also posts about her beautiful home, and you will love getting to know the sweet kitties who own her! Now I have to share 7 things you didn't know about me, so here goes! 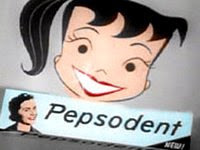 1) My favorite toothpaste is Pepsodent (which is getting harder and harder to find!). 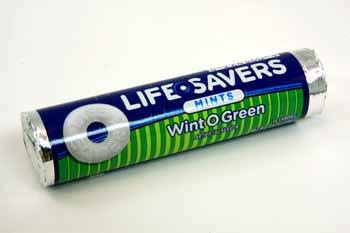 It reminds me of the WintOGreen Life Savers my mom always carried in her pocketbook. 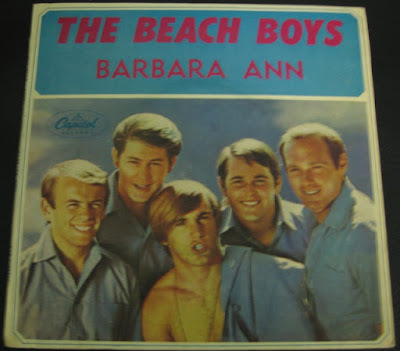 ...which would have been a pretty cool name to have as a teenager in the 1960’s when the Beach Boys turned that name into a hit song! 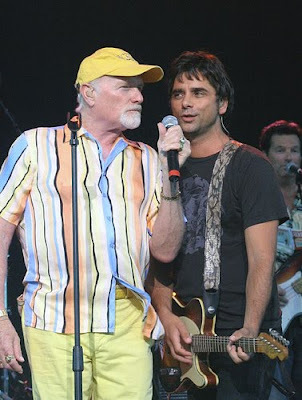 Speaking of The Beach Boys: I was lucky enough to see them perform live on Cape Cod several years ago, with John Stamos as their drummer. Is it possible he's even cuter in person than on TV? (I'll answer that for you - Yes!) We had front row seats and wereascloseasthis to him... The Beach Boys put on an awesome show and it's always so much fun to sing along to the songs from the 60's! You’d have to have been a teenager during that time period to understand how perfectly normal the above behavior seemed to us at the time!! 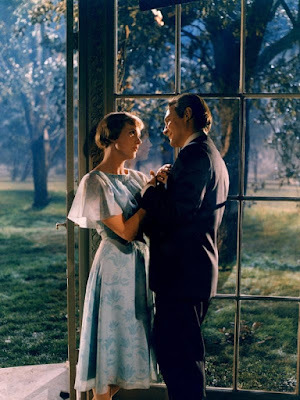 I fell in love with Julie Andrews and Christopher Plummer as they fell in love with each other during The Sound of Music in 1965. It was a rare treat that mom, dad, my sister and I all went to see it together. Money was tight in those days. Where do I even begin with Camelot? 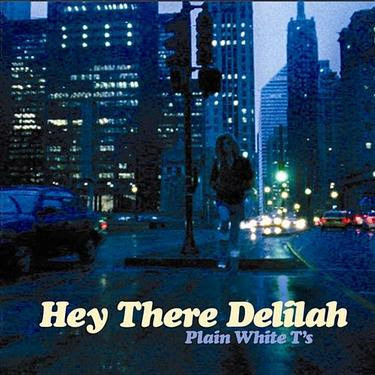 The scenery, the music, the story (it's still one of my favorite soundtracks!).... This is the first movie that I went to see multiple times while it was playing in the theaters, I loved it so much! 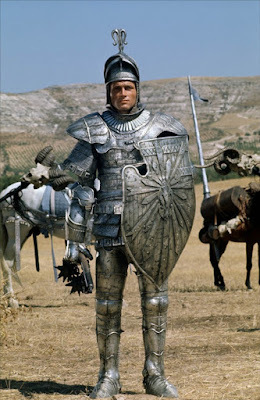 ..and Lancelot, oh Lancelot... Could anyone but Franco Nero have played him so perfectly? So yes, all these movies from my childhood and teen years made an impression on me and to this day my idea of a perfect night out is popcorn and a movie! 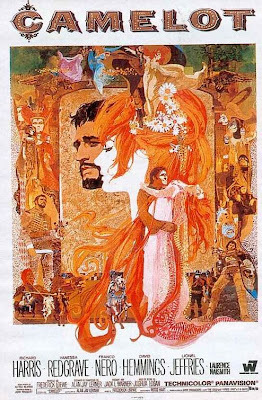 Camelot sidenote: I was also soooo fortunate to see Richard Burton perform as King Arthur in Camelot back in 1980 in San Francisco! What a treat that was!!! Pure magic! 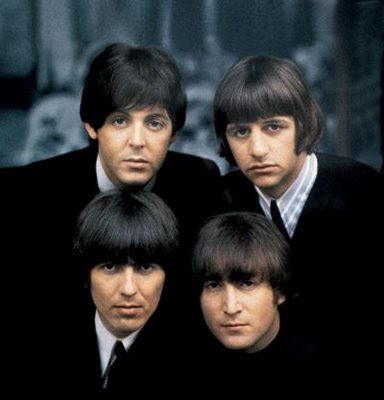 Of course The Beatles, well they are quite in a league of their own. I'm transported back to the sixties when I put in one of their CD's. I was very fortunate to have seen them perform live in August of 1966 in Boston, and someday I'll have to share that whole magical day, from start to finish! 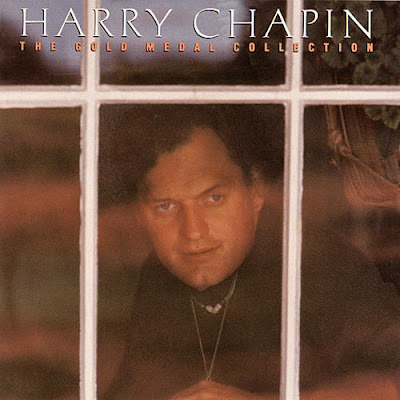 Now, and even as a teenager, I prefer the Beatles' early music over that of their later years.. There are just so many artists I love to listen to (i.e. Simon & Garfunkel, Joni Mitchell, Eva Cassidy, Enya, Sara McLachlan), and of course the many, many soundtracks to all my favorite movies!! I fear it is my destiny to always be conflicted in this area!! 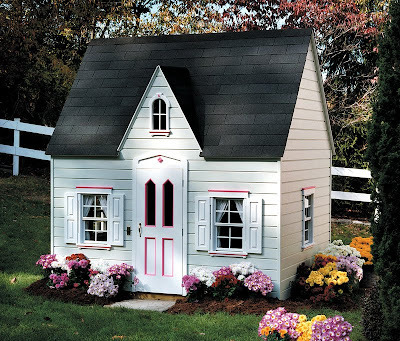 7) I would love to have a small cottage in a warm climate so I could escape New England from January through March, the 3 longest months of the year, if you ask me! And lest you think I'm exaggerating, see what the winter sometimes sends our way? I found this picture while looking for photos of our Casper who I recently posted about... Poor baby, she doesn't even want to put her bum down on the ground it's so dang cold! And that is our sweet little ShuShu who is probably asking, "Can we please go inside now?" Now I'm supposed to pass this award on to seven other bloggers but I think I'd like to pass it along to all my very "kreativ" friends in the blogging world!!!! So if any of you would like to grab this award tag and share 7 things we don't know about you, please feel free to do so!!! love your choice of favorite movies!!! 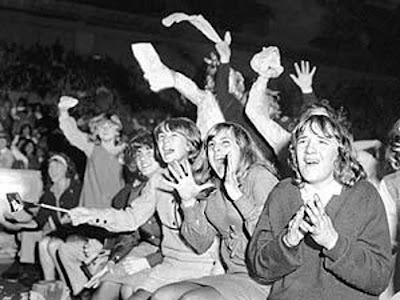 and I do indeed remember seeing the Beatles in a movie theater. Loved your list, Donna - ah, the Beatles, you know how I feel about them and Paul, specifically. 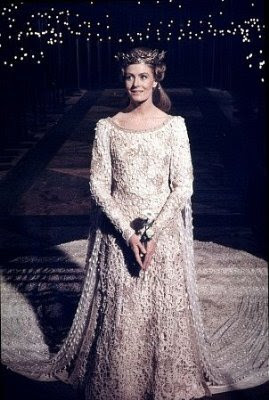 We have a lot in common: I saw John Stamos at the Sir Paul concert last summer and agree that he is oh, so handsome, I saw Richard Harris in Camelot on stage, (I saw Yul Brynner in the King and I too), I love the Sound of Music and never get tired of seeing it! AND, I get tired of winter real fast! Well, you get to share your name with a Richie Valens song so that's not to bad. What a fun post! We have a lot in common! My one brother went to highschool with one of the Beach Boys. They even played at their prom and homecoming dances. Also, John Stamos' mom used to live three doors down from my boyfriends mom home. My boyfriend and John grew up together. 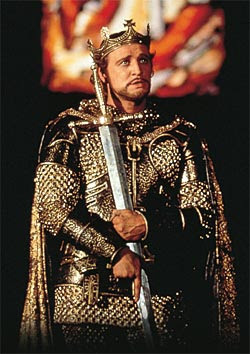 I love Camelot also. 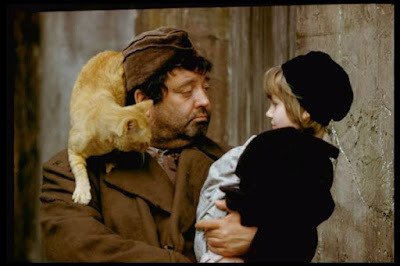 I was lucky like you and got to see Richard in the play two times. Both were with my mom. Great memories. One time we had front row seats and being up that close we could see/hear things that others didn't. Like when he would try to crack up the other actors on stage. He would make jokes under his breath trying to get them to laugh or mess up their lines. He would also speak his line and spit would come out of his mouth. We later figured out he did that on purpose too as a way to get the actors to laugh. You were very fortunate to have so many experiences involving the arts! Nice to learn more about you. Thanks for sharing! Hey Donna; What a great list you have... 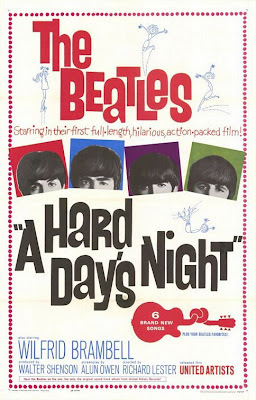 I was young in the 60's but I do remember the Beatles my older Sister went crazy over them... How lucky you were to be able to see such great movies.. I love them all.. oh and Congrats about the award... thanks for sharing some of your memories with us..
You need to find yourself a little cottage here in East Texas for the winter months. It's Gardening gone wild here, due to all the humidity. Of course, I hate it when it's terribly hot. But the plants just love it. Oh, The Beatles. Never be anything like them again! Oh I enjoyed learning more about you! Like the pics! You have great taste! !